from a sample of 103 beach visitors. We conducted an econometric analysis to examine factors that potentially affect their behaviour. We determined ﬁrstly if the respondents were willing to accept compensation for visiting another beach in the event of an outbreak of HAB and its amount; or in another scenario if they would be willing to pay an annual fee, and its amount, for restoration and mitigation of the beach pollution. 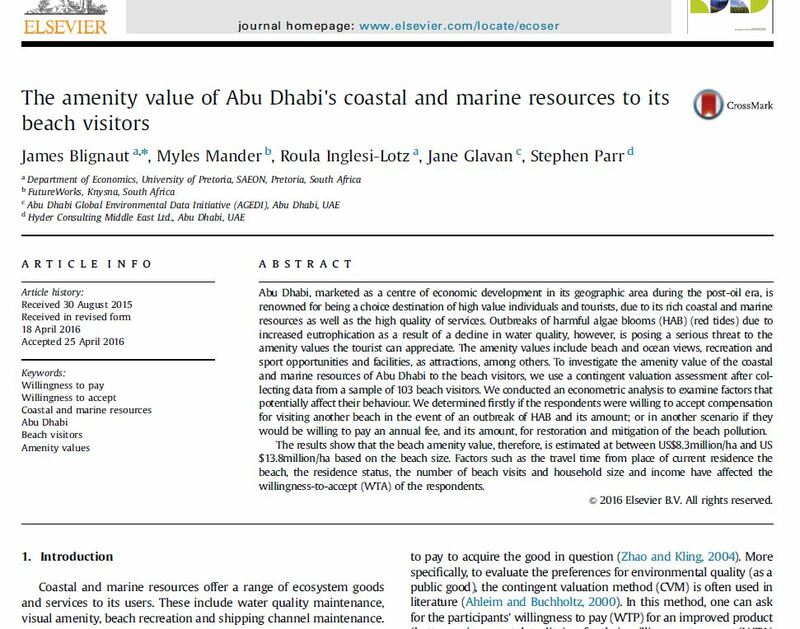 The results show that the beach amenity value, therefore, is estimated at between US$8.3million/ha and US$13.8 million/ha based on the beach size. Factors such as the travel time from place of current residence the beach, the residence status, the number of beach visits and household size and income have affected the willingness-to-accept (WTA) of the respondents.